(1863/1929) - half of the district of Sarrià - Sant Gervasi (de Cassoles). Sant Gervasi was a Roman martyr in the 4th century. 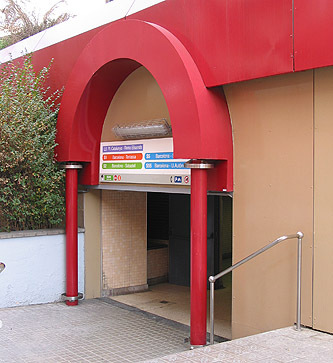 Station located just next of Pl. 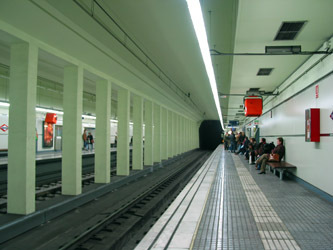 Molina station on line L7. (1908/1929) - Street dedicated to Ramon Muntaner, medieval Catalan chronicler in the 13/14th century. (1887/1952) - Name of a neighborhood around Plaça Bonanova where you can find a parish church dedicated to the Virgin of 'Bonanova', which means 'good news', referring to the Gospel. (1863/1952) - Actually meaning 'three towers or mansions', this name refers to a neighbourhood built around three former manor houses. (1863/1974) - half district of Sarrià - Sant Gervasi; still preserves its village like character surrounded by wealthy neighborhoods. (1976) - avenue named after Queen Elisenda de Moncada, Jaume II's wife, founder of the nearby convent of Pedralbes (1327). 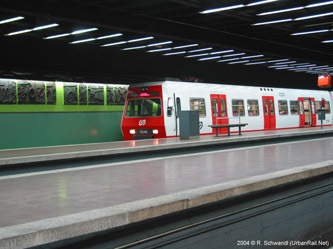 Sharing tracks with line L7 between Pl. 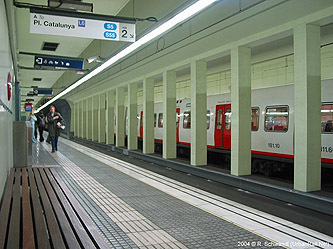 Catalunya and Gràcia, and with suburban services between Pl. 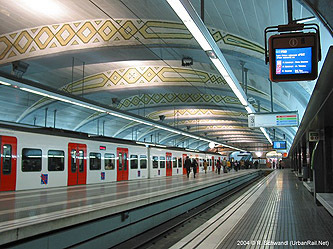 Catalunya and Sarrià. 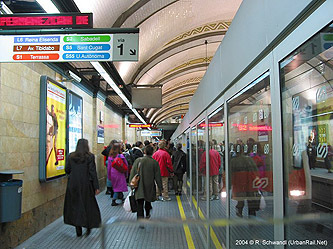 Suburban trains on lines S1 and S2 skip Sant Gervasi, La Bonanova and Tres Torres stations. 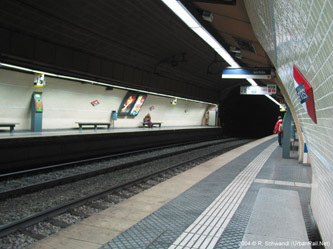 The original line was put underground in 1929 up to Muntaner, and in 1952 up to just south of Sarrià station; the latter was covered in 1974.